Detailing the history of a well-known phenomenon of post-socialism - cross-border petty trade and smuggling - as the history of a practice in daily life from a gendered perspective, this book considers how changes in these practices in a particular border region, between Belarus and Lithuania, have been accompanied, and to some extent provoked, by changes in the border regime. It looks at how the selective openness of the Belarus-Lithuania border worked during different periods over the last twenty years and how it influenced the involvement of different social groups in shuttle trade practices. 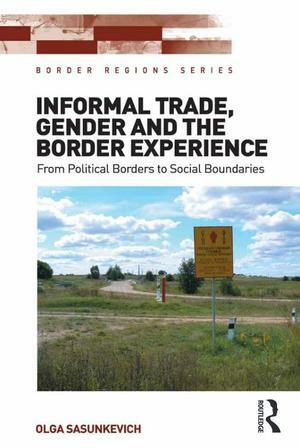 Foremost, this book considers how political borders implement and/or intensify social boundaries and suggests that the selective openness of political borders, a prerequisite for the existence of female shuttle trade activities, is primarily built upon people’s social characteristics. However, it claims that what can be seen as the grounds for growing inequality at a global level, at a local one may have an important resourceful meaning for various social groups including those usually perceived as disadvantaged, such as widowed female retirees or unemployed single women with children.